Dr. Singh is a Board Certified HIV Specialist, and an Infectious Disease and Internal Medicine Physician, working in HIV care since 2009. Prior to joining the Desert AIDS Project, she worked as a Primary Care and Infectious Disease Specialist at North Ottawa Community Hospital in Grand Haven, Michigan, and an HIV Specialist at Mercy Health Partners, of Muskegon Michigan. She received her Medical Degree from Kasturba Medical College, Manipal, India, completed Internal Medicine Residency and Chief Residency at St. Elizabeth Health Center, Ohio, and completed an Infectious Disease Fellowship at The Medical College of Wisconsin, in Milwaukee. She also holds a Master of Science degree in Health Care Administration from The University of New Haven, CT. Accomplishments: In 2010, Dr. Singh was awarded an Infectious Disease Fellows Grant by the Interscience Conference on Antimicrobial Agents and Chemotherapy (ICAAC); In 2011, she was honored as a George McCracken Infectious Disease Fellow, through the American Society for Microbiology (ASM) for her research work in human T-cell lymphotropic virus (HTLV); she has published multiple clinical case abstracts for the American College of Physicians (ACP) Ohio Chapter annual meetings; Certifications: Centers of Medicaid and Medicare Services (CMS), Meaningful Use Stage 1, PrimeSUITE EHR, Greenway Health, LLC, 2013. 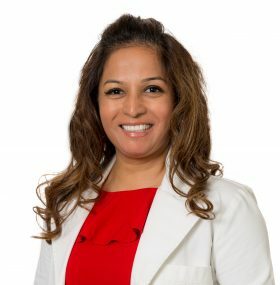 Dr. Singh derives the greatest joy from building relationships with her clients, and from collaborating with all members of a transdisciplinary team to offer caring, comprehensive, and compassionate care. Dr. Singh is passionate about HIV/AIDS care, PrEP, and HCV co-infection. She recently relocated to Palm Springs, February 2017, and although she misses boating on Lake Michigan, she is very eager to explore the gorgeous hiking trails of the Coachella Valley. She is very excited to be a part of the Desert AIDS Project.